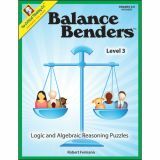 Students develop deductive thinking and pre-algebra skills as they solve balance puzzles that are more fun and addictive than Sudoku puzzles! 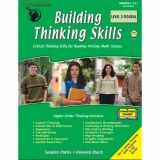 Use these books as quick, fun, logic problems or as stepping stones to success in algebra. Students must analyze each balance to identify the clues, and then synthesize the information to solve the puzzle. 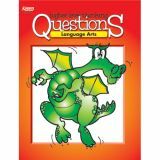 Includes teaching suggestions, balance tips, and detailed answers. 48 pages. Provides fun, highly effective and engaging reasoning activities to improve the vocabulary, pre-reading, pre-writing, math, logic, spatial, and auditory processing skills of preschoolers. It teaches children to use organized analysis instead of guesswork to solve problems as it develops critical thinking skills necessary for success in reading, math, writing, and science. The title may be used as a complete critical thinking curriculum to prepare young minds for preschool academics. 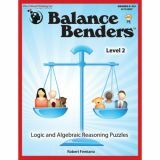 The books use colorful, easy-to-understand activities, sequenced in small steps, many gamelike, and solvable in a short period. 280-440 pages. Provides fun, highly effective and engaging reasoning activities to improve the vocabulary, pre-reading, pre-writing, math, logic, spatial, and auditory processing skills of preschoolers. It teaches children to use organized analysis instead of guesswork to solve problems as it develops critical thinking skills necessary for success in reading, math, writing, and science. The title may be used as a complete critical thinking curriculum to prepare young minds for preschool academics. The books use colorful, easy-to-understand activities, sequenced in small steps, many game like, and solvable in a short period. 280-440 pages. Give your students the most valuable skills they can acquire—the desire to think, and the power to question! 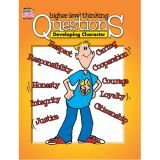 This series provides a seemingly endless array of intriguing, mind-stretching questions and activities. 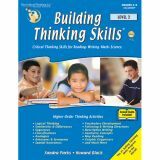 Each book is spilling over with questions designed to engage and develop the spectrum of higher-level thinking skills. 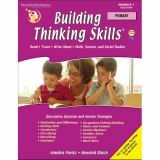 Use these books to easily integrate critical and creative thinking skills into your daily lessons. 160 pages. 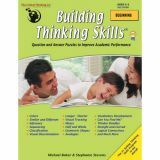 Each book is spilling over with questions designed to engage and develop the spectrum of higher-level thinking skills. 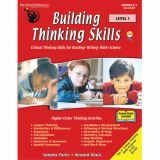 Use these books to easily integrate critical and creative thinking skills into your daily lessons. 160 pages.